You definitely don’t need to lose your chance to live in this amenity abundant, private community. 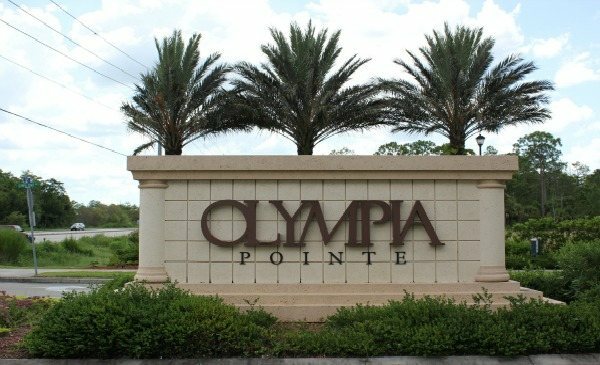 Olympia Pointe brings you resort-style living in the center of Southwest Florida. Executive homes in Lehigh Acres, FL Olympia Pointe range from 1,340 square feet to 3,357 square feet. Amenities include a clubhouse with a kitchen, fitness center, playground, spa & resort fashion pool all overlooking a glistening lake. Just minutes from I-75, Southwest International Airport, and great dining and shopping, Olympia Pointe offers single-family homes and town homes with attached garages in many expansive floor plans.The town home or condo selections is the Odyssey Collection which features six floor plans ranging from 1129 to 1386 sq. ft. under air. These units are two and three bedroom with an attached garage. Contact me to get listings for these properties.